Attorney, Author, Teacher, Pastor and Expert Story Teller, Mark Lanier is no stranger to the public platform. Since he founded The Lanier Law Firm in 1990, Mark has earned international recognition as one of the top trial attorneys in the United States with firm offices in Houston, New York and Los Angeles supporting his work for clients across the country. 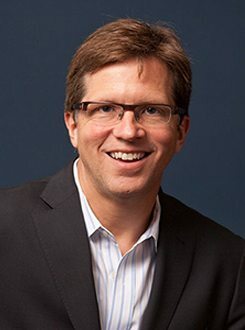 Mark’s courtroom experience is significant and diverse, including: In March 2016, he secured an astounding verdict when a federal jury in Dallas found in favor of his clients in a products liability case over defective hip implants against defendant DePuy Orthopaedics Inc., a subsidiary of health care giant Johnson & Johnson. Mark scored another headline-grabbing verdict in April 2014 against Takeda Pharmaceutical Co. Ltd. and Eli Lilly & Co. over the diabetes drug Actos. From the very beginning of his career, Mark has proved again and again that he is not one to slow down or rest on the laurels of his recent victories. Early in 1993, he made a huge impact in the world of courtroom litigation by winning a then-record verdict for a small oil company in a business fraud case against one of the nation’s largest oil providers His winning verdict in the nation’s first trial over the painkiller Vioxx, Ernst v. Merck, set the tone for similar cases nationally. Mark followed up the record Vioxx verdict with two more substantial trial wins over the same drug. He obtained a precedent-setting settlement for a national sugar association trade group and several of the largest U.S. sugar manufacturers regarding a false promotion lawsuit against one of the world’s leading distributors of artificial sweeteners. He also was responsible for reaching a sizeable settlement for syringe manufacturer Retractable Technologies in an antitrust case against Becton Dickinson & Company, which served as the basis for the movie “Puncture,” starring Chris Evans. His verdict on behalf of 21 asbestos victims is considered one of the largest asbestos liability awards in U.S. history. Mark also secured a settlement for 130 Ingersoll Rand Plc employees in a lawsuit over unpaid bonuses related to the sale of an Ingersoll Rand subsidiary. Mark’s peers and the media consistently recognize him among the country’s leading legal minds: Trial Lawyer of the Year by The National Trial Lawyers and The Trial Lawyer magazine; as well as the Lawdragon Top 500. In 2015, he earned the American Association of Justice’s Lifetime Achievement Award. The New York Times described him as “one of the top civil trial lawyers in America.” The National Law Journal has twice named him one of the nation’s Top 10 Trial Attorneys, as well as one of the 100 Most Influential Lawyers in America. The same publication also named Mark and The Lanier Law Firm to the annual Plaintiff’s Hot List. Mark also is the recipient of the coveted Clarence Darrow Award. He is regularly named in Chambers USA: America’s Leading Lawyers for Business, where he also received special recognition as a national leader in product liability and mass tort cases. Mark has been listed in The Best Lawyers in America list for more than a decade, including previously being named the 2013 Top Class Action Attorney in America. The same publication also recognized him as Houston’s 2016 Lawyer of the Year for Mass Tort Litigation/Class Actions. The Lanier Law Firm also has been repeatedly named on the annual list of Best Law Firms published by S. News & World Report. Mark’s additional professional honors include his recognition as a Litigation Star by Benchmark Litigation; The Trial Lawyer magazine’s America’s 100 Most Influential Trial Lawyers; In addition to national recognition, Mark has earned multiple accolades from his legal peers in Texas. In a state-wide attorney survey published in Texas Monthly magazine, he has earned selection to the annual Texas Super Lawyers list since it debuted in 2003, including being named one of the Top 10 Attorneys in Texas. Texas Lawyer newspaper has selected Mark as one of the state’s Top 5 “Go To” Personal Injury Plaintiff Attorneys three different times, in addition to naming him the Top “Go To” Personal Injury Attorney in Texas. In 2015, he earned the Texas Bar Foundation’s Ronald D. Secrest Outstanding Trial Lawyer Award. Texas Best Lawyers magazine also has named him on their annual listing for more than a decade. Mark received further recognition in the Verdict Search/Texas Lawyer Top 50 Verdicts of 2012. Texas Lawyer also named him as one of the Top 25 Attorneys of the Past Quarter Century while recognizing The Lanier Law Firm as the 2015 Litigation Department of the Year.